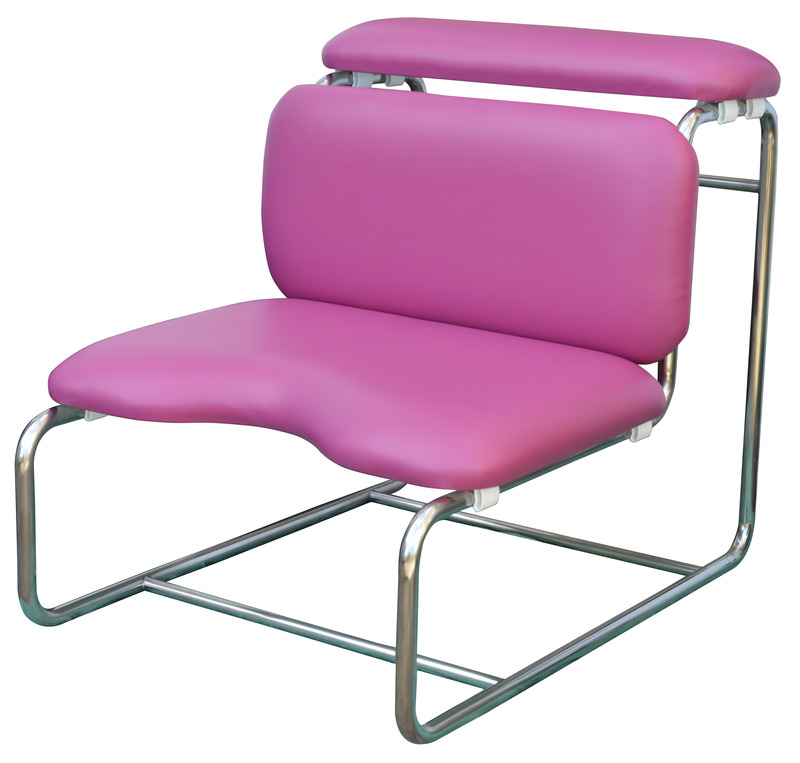 The Osborne Kneeling Chair is available at £1,000 plus packing and delivery. It is zero rated for VAT. A discount may be available for charities. 'prie dieu' position During early labour women often want to stand, leaning forwards. 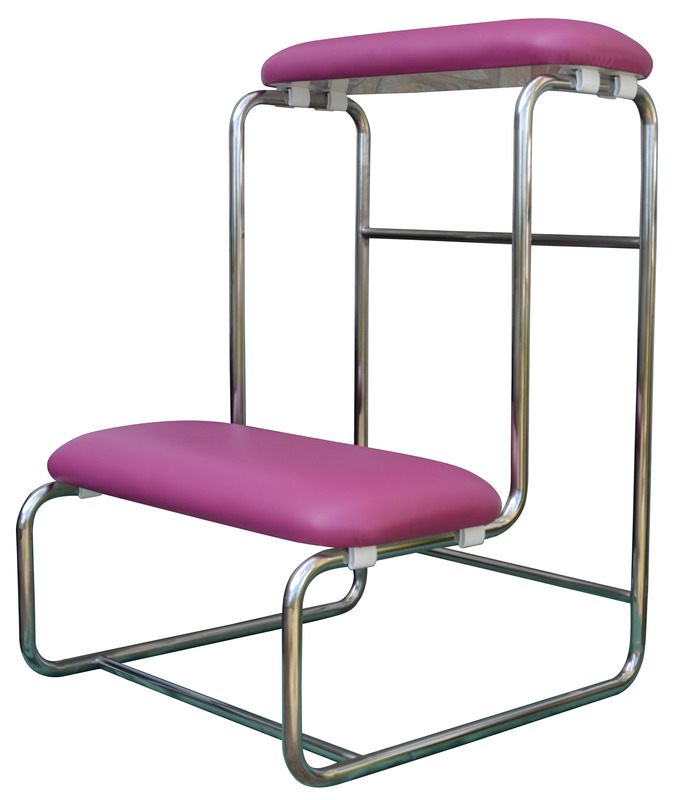 In the upright position the chair is worktop height, enabling women to find a comfortable standing position. It can also be used in an upright kneeling 'prayer' position. These positions are both good for ensuring that the angle between legs and pelvis is greater than a right angle, allowing flexibility of the pelvis. standard birth chair positionPlacing the chair in the 'standard' position allows women to kneel on all-fours, with their head and shoulders supported by the small cushion. The seat is wide enough to enable them to shift their weight from one knee to the other, wriggling around as their body gives them signals to move. As well as his head being a tight fit to his mother's pelvis, unlike other mammals, the human baby has to negotiate a bend. Getting mothers off their back for labour and birth increases pelvic mobility, giving the baby extra space for his journey through the birth canal.